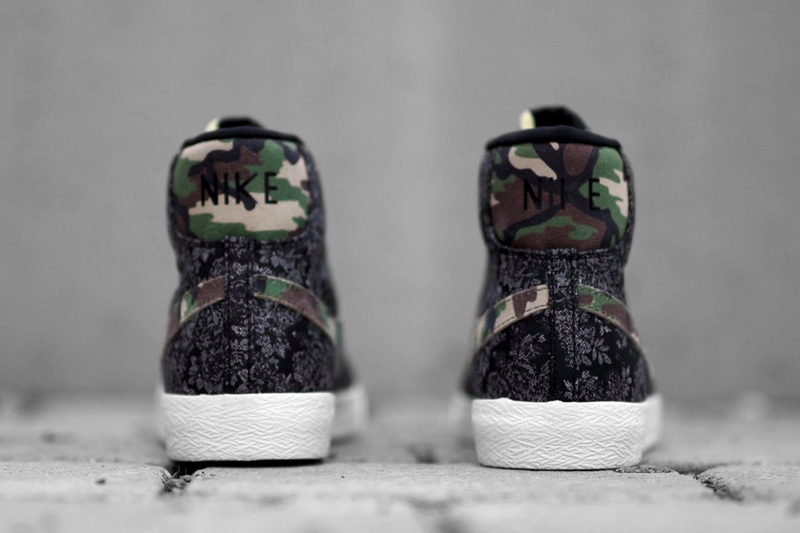 Nike has pulled a classic from the vault for a reiteration clad with floral and camouflage patterns just in time for the Spring/Summer season. 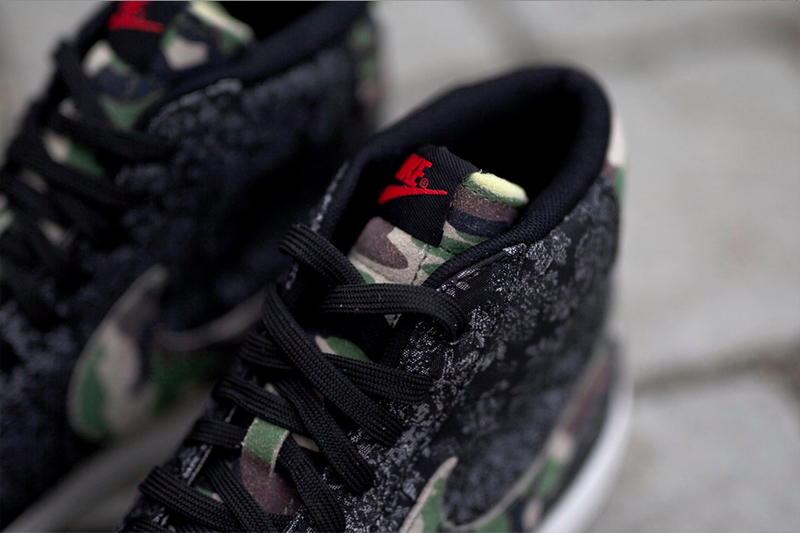 The Nike Blazer Mid PRM “Camo Swoosh” is one dynamic sneaker, sure to turn heads with its floral canvas distinctively offset by green camouflage detailing on the tongue, heel, and of course the designated ‘Camo Swoosh.’ Adding further contrast to the sneaker’s design, crimson red branding is present on the upper tongue—completing the canvas’ colouration. It seems like there is a lot going on design-wise, and there is. 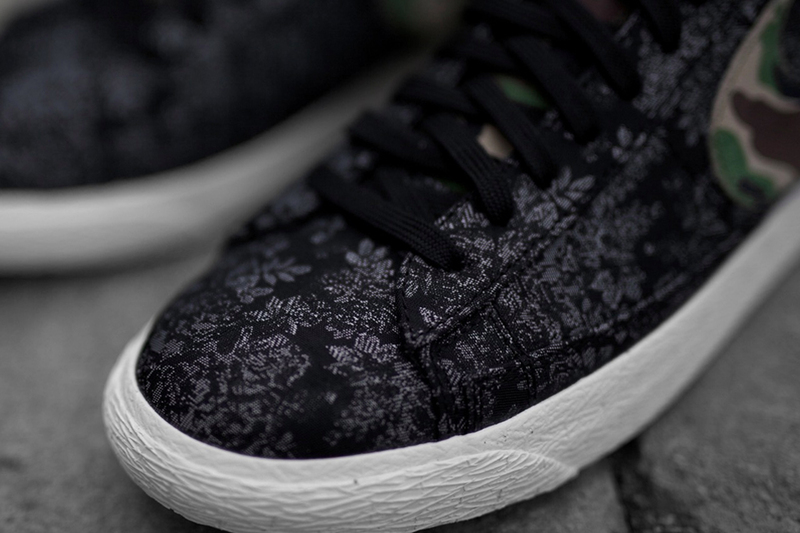 However, the contradictory colour scheme is neutralized magnificently simply by placing the boisterous composition atop a crispy stark-white midsole. 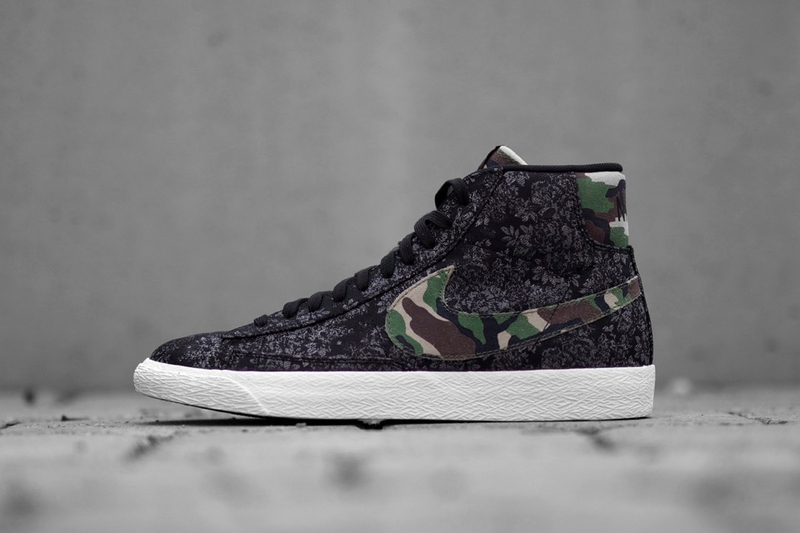 Priced at approximately $120 USD, the Nike Blazer Mid PRM “Camo Swoosh” is available now via select Nike stockists, including Coutie.